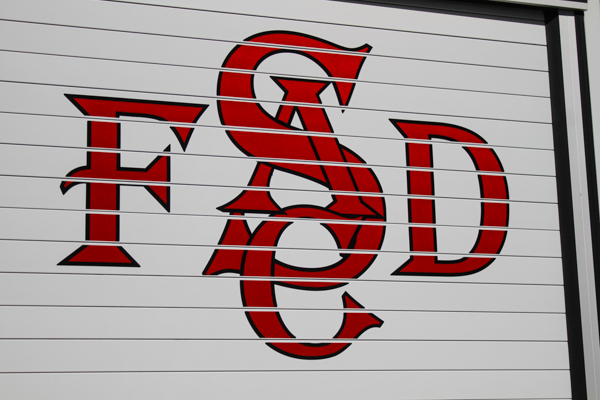 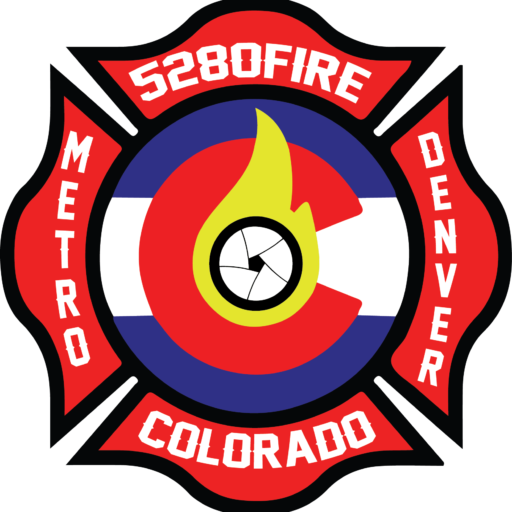 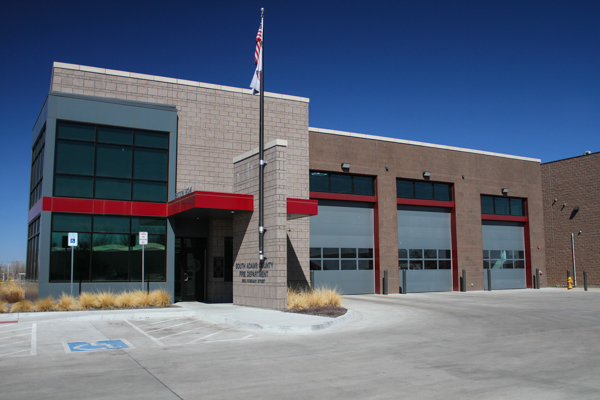 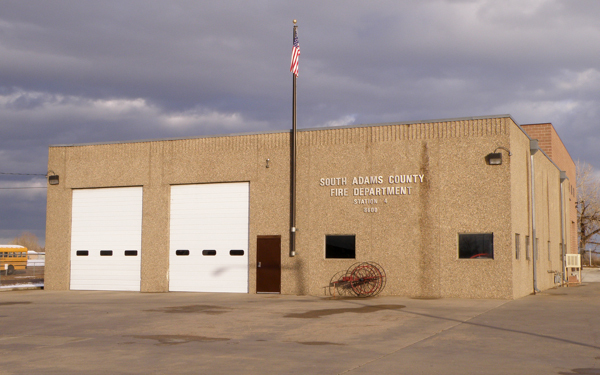 Fire Station 24 is located at 8600 Rosemary St, rebuilt at the same location in 2016 and is co-located with Fleet Maintenance. 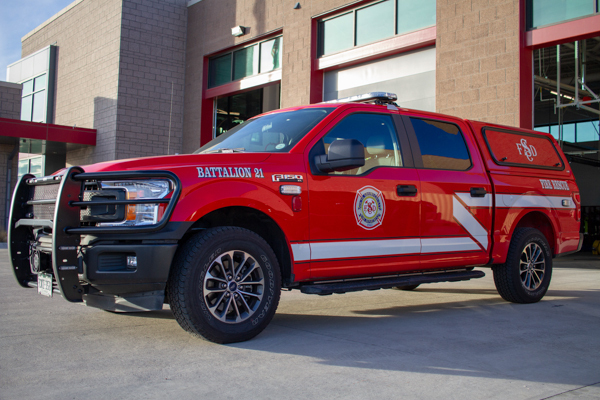 Ford F-150 4×4 XL Super Duty. 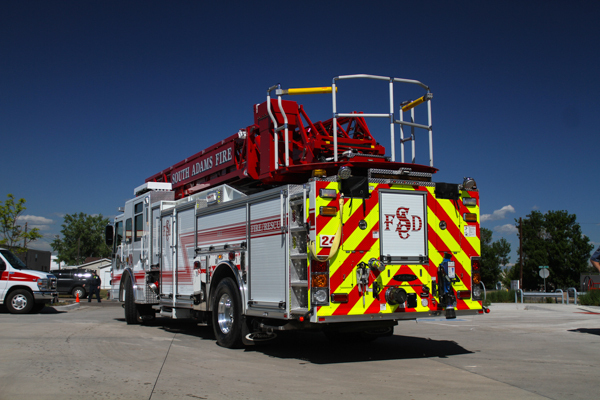 2018 Pierce Velocity PUC / Ascendant (30934) 107′ heavy duty aerial ladder 500 gallon water tank / 1500 gpm pump with foam (Husky). 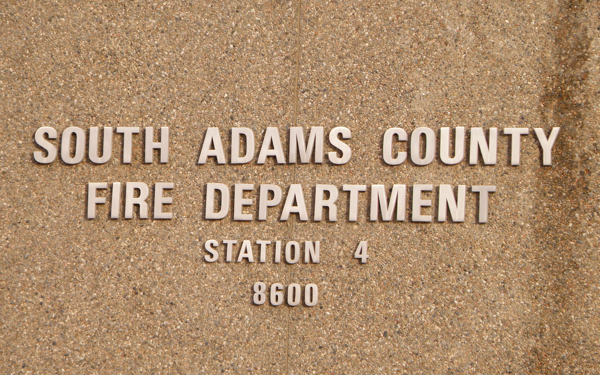 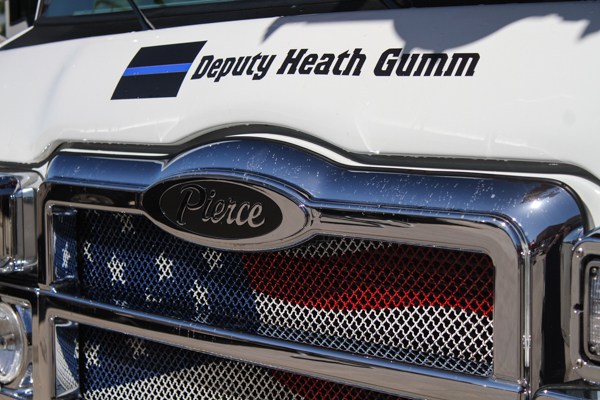 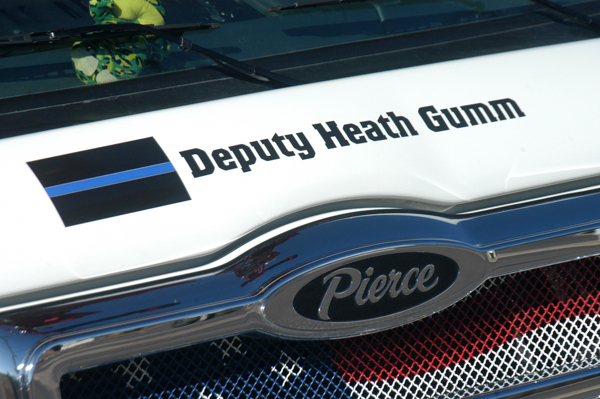 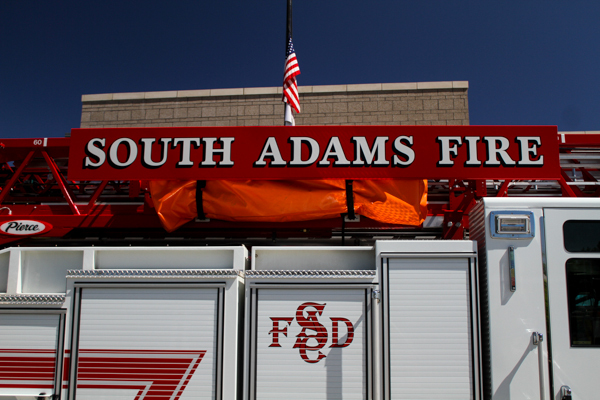 This Engine is dedicated to Heath Gumm, Deputy Adams County Sheriff. 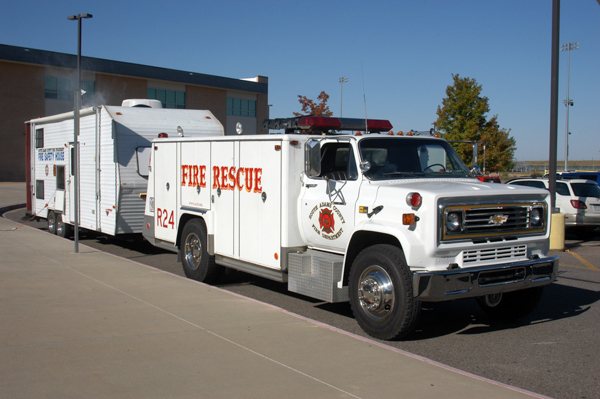 2005 Spartan MetroStar/ SuperVac, also ran as Rescue 23. 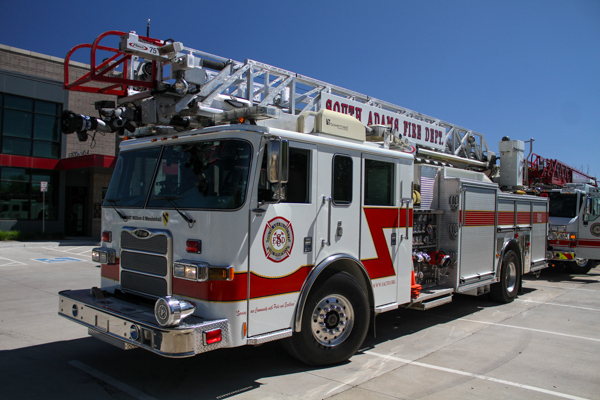 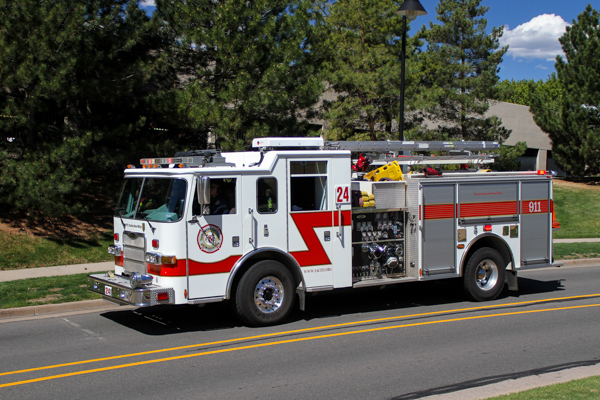 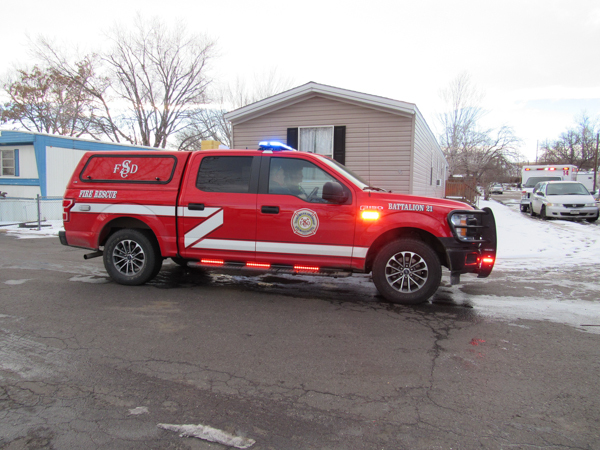 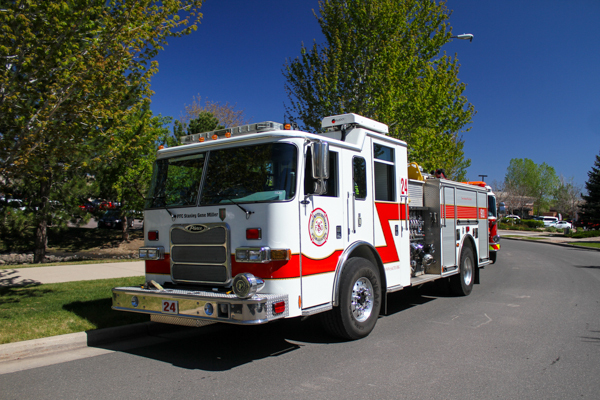 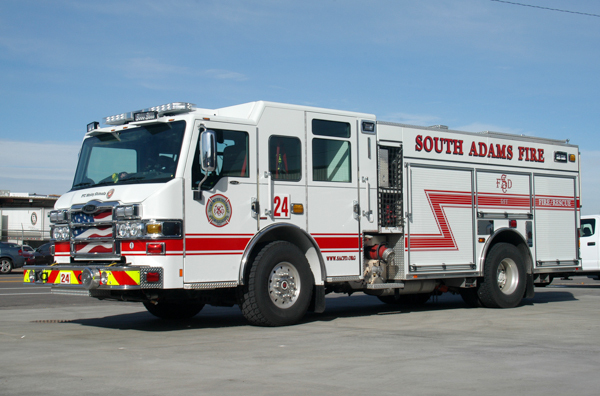 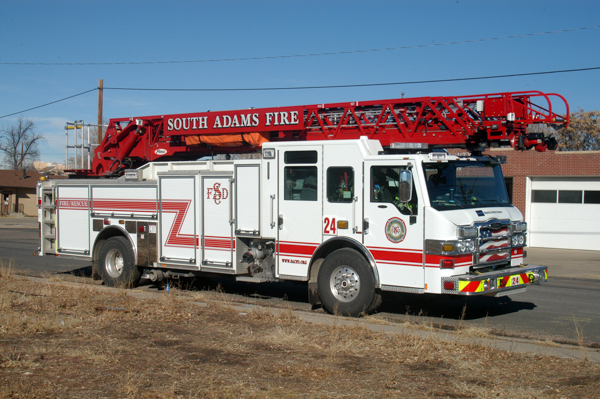 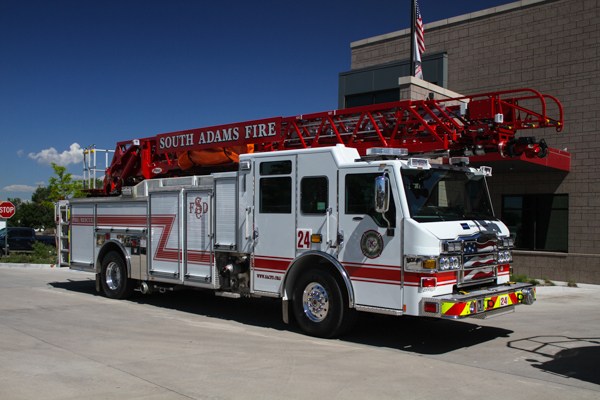 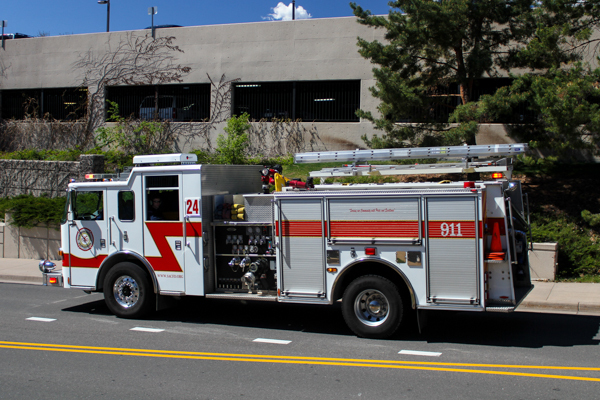 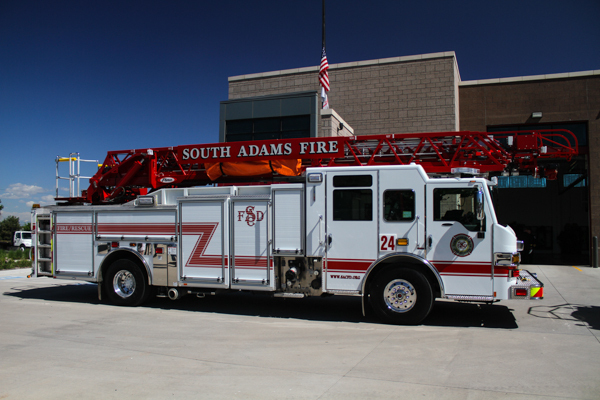 2009 Pierce Arrow XT 75′ rear-mount aerial ladder 500 gallon water tank / 1500 gpm pump, also ran as Truck 22 and Truck 27. 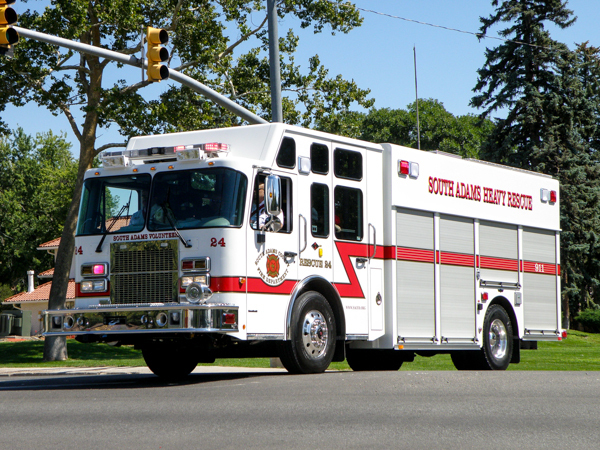 Sold to Nashville Volunteer Fire Department Truck 11 in Spring Grove, PA. 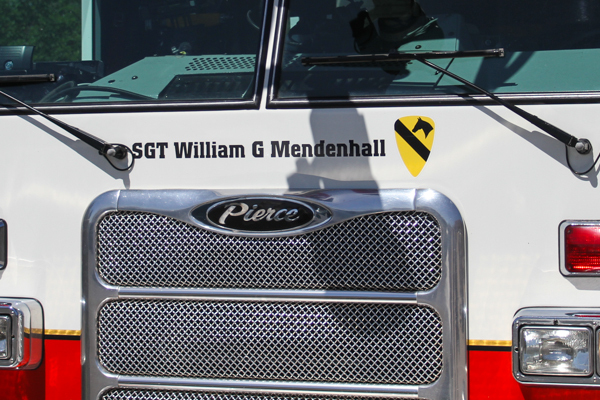 This Truck was dedicated to Willam G. Mendenhall of Commerce City, SGT (Sergeant) United States Army. 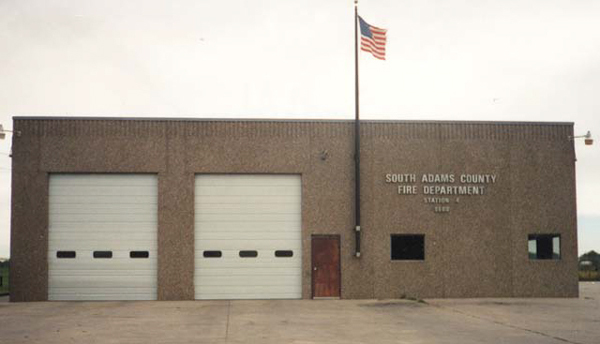 Former Fire Station 24 shown here at 8600 Rosemary St before the rebuild. 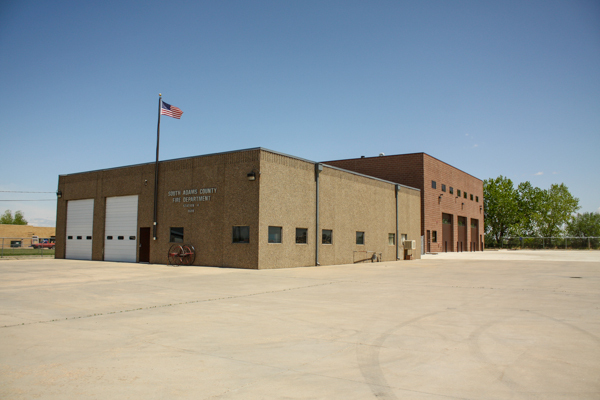 Shown here before the rebuilt at the same location in 2016, and is co-located with fleet maintenance. 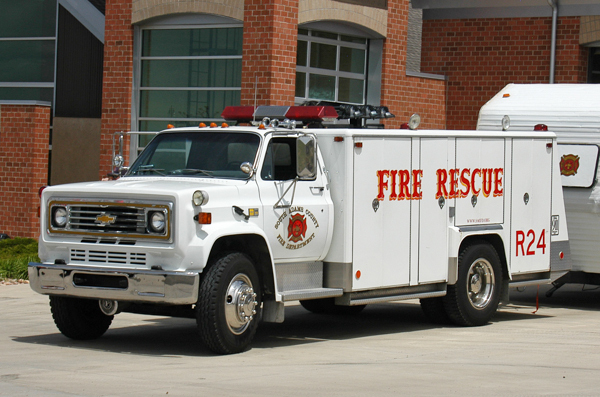 1982 Chevy C70 / SuperVac. 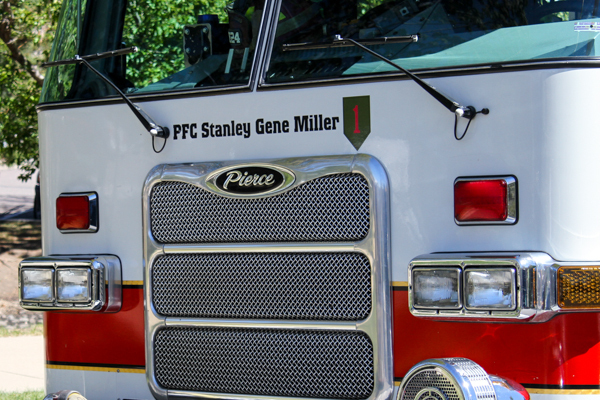 This Engine is dedicated to Stanley Gene Miller of Commerce City, PFC (Private First Class) United States Army. 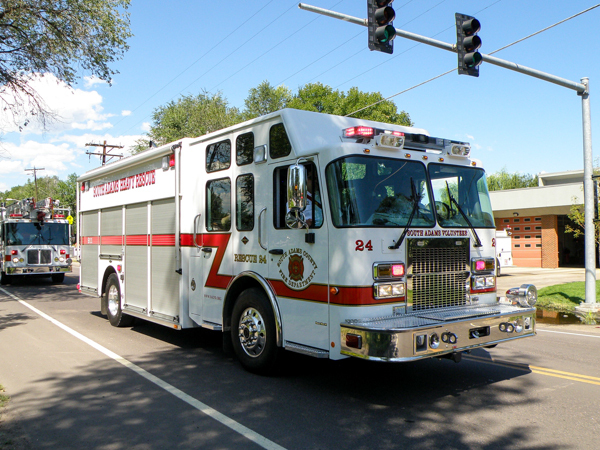 2017 Pierce Velocity 750 gallon water tank / 1500 gpm pump with foam, currently Engine 27.